We run a number of different astronomy courses at Astrofarm throughout the year. The courses are all standalone short day courses and can also be combined to create a deeper learning experience. All our courses are a mix of tutorial, workshop and hands-on and are specially designed for an adult audience. They are friendly and fun and delivered in a relaxed and comfortable environment. You do not need any prior knowledge or lots of equipment and the courses are great value for money. You can arrange your stay at Astrofarm to enjoy a course during your visit or if you have a group of 6 - 10 friends or family, we can run the course on a date to suit just for you! We can often provide the course at short notice if we don't have B&B guests. Why not make an occasion of your learning experience with a discounted overnight stay in our B&B. For example, the 'Complete Beginner's' course plus B&B, starts from just €75 per person. You can find a calendar of course dates here. In addition to the courses, we also have special astronomy events throughout the year and you can find the details here. The perfect follow on from the beginner course, this evening session will start you taking impressive photographs of the night sky. With a tutorial introduction followed by a practical session during the evening, you will not be disappointed with the results from your learning. Starting at 6.00 pm, the course covers basic use of a DSLR camera on a tripod, through to using your camera with a telescope. You will need a DSLR camera to benefit fully from this course. This course can be taken as a stand-alone session or as the first of a 3 part syllabus. In the event of poor weather for the practical session, we will happily invite you back to Astrofarm anytime to capture that perfect image. This is the final class in the series of 3, which will take all your learning so far and then add new skills and knowledge, enabling you to take and process high quality astro images. You will be on site taking images of star trails, galaxies and nebulae. You will then process these images for a final portfolio of stunning astro-photographs. The masterclass will be a practical workshop during an evening on site at Astrofarm. The session costs €40 and is limited to 10 to allow for individual attention and help. Please email for more information or to register your place. Have you ever sat outside on a clear summer night and been awestruck by a spectacular Milky Way? Are you perhaps now living under velvet dark skies for the first time and would love to understand what you are seeing? Maybe you have tried to find your way around the constellations with a book or phone app and now want to understand far more? This course for the absolute complete beginner will show you how to identify the most popular constellations, appreciate the movement of the Earth and planets in our solar system, explore galaxies and understand distance, size and space. With a mix of tutorial, workshop and practical observing we will help you to enjoy the night sky and answer those questions you have pondered about the universe. The courses starts at 6.00 pm and, weather permitting finish with a late night observing session. 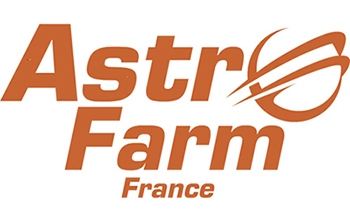 You do not need to have any prior knowledge, equipment or experience – we have everything here at Astrofarm! In this course, we take you on from the beginner course continuing your astronomy learning journey and delve a little deeper into the subject of astronomy. We cover:- The solar system – the players and their composition, astronomical terms and abbreviations, our star the Sun, exploring what is a sunspot? Where do solar flares come from? What causes the Northern lights. Galaxies – Hubble’s law, the basics. We will look at relative velocities (red shifts) of faraway galaxies and how to estimate their distances from the Earth. We check out using Stellarium and other software and fine tune your observation skills – Some tips and techniques that will make your observing easier and more pleasurable. You will also have the option to carry on your learning with guided modules and projects if you have really caught the astronomy bug! We invite you to bring your astro-photographs to this 3 hour class and learn how to process your raw data and create stunning images. Using freely available software, you will become confident with stacking, levels, contrast, colour and composition. At the end of the session, you will have your own stunning image and the knowledge to process all your future astro-photographs. You will need a Windows-ready laptop for this session and we will provide links to the free software which can be downloaded in advance of the course. Our whole weekend of astrophotography includes the 3 courses detailed above and starts with the 'Beginners Guide to Astrophotography' on Saturday night, processing your images on Sunday afternoon and the Masterclass on Sunday night. You can stay at Astrofarm for the weekend and enjoy 2 nights B&B & supper and the 3 courses from just €175. Sunday day visitor includes 2 astrophotography courses with supper for €60. Email Sue or ring 0545 712 553 to book. "Firstly we would like to say that we both really enjoyed the day and took a lot from it. It was very clear from the beginning that Andrew knows so, so much and is an expert in his field. It was also clear he is passionate about what he does which shone through all day. Combined with his enthusiasm to share his knowledge we came away learning far more than we expected to and would recommend the day to anyone." Dianne and Ian.